My all-time best vintage perfume find was a bottle of Guerlain Meteorites for $60 at a mall kiosk. It really was the exact scent of the Meteorites pearls- violet, rose, and cosmetics powder. It was so close to perfect, but in the end, it was just the tiniest bit too retro, too period-piece. Chanel Misia, with its excruciatingly pretty violet-rose scent, is the fresher, brighter, modernized Meteorites that I’ve been hoping for. It manages to evoke the pleasurable glamour of old-fashioned cosmetics and fluffy Caron powder puffs without actually smelling like powder. Misia is defined by its delicate, candied violet note. It’s as girly as a Pinterest board filled with ballet slippers and pastel macarons. When I read that the perfumer was Olivier Polge, I thought about the resemblance to his Balenciaga Paris. Paris is much thinner and less sweet than Misia, a starched white shirt to Misia’s swirly skirts. Many Misia reviews are comparing it to Frederic Malle Lipstick Rose, but they’re completely different in tone: if Misia is a wisp of light pink, Lipstick Rose is a streak of vibrant fuchsia. As a longtime Lipstick Rose lover, I adore (and need!) both. I was so smitten with Misia that I bought a small bottle on the spot last week, which never, ever happens. The generous Chanel SA also included an adorable 4 ml deluxe sample, which I would be happy to pass on to you. If you would like to enter to win the Misia sample, please leave a comment telling us your favorite Chanel Les Exclusif fragrance. This giveaway is open to both U.S. and international commenters. The giveaway will be open until noon on Friday, April 3rd. Good luck! Exec 1: As you both know, Chanel has asked us for a new flanker to Coco. They want a “luminous oriental”. 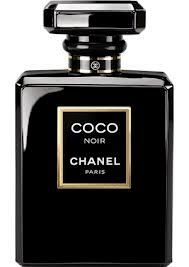 It’s going to be called Coco Noir. They’re giving us this gorgeous black-and-gold bottle. We’ll have access to Chanel’s exclusive supply of Grasse jasmine and rose. We’ll also be working with Jacques Polge, the perfumer who created the original Coco. I think that we can really knock this one out of the park. What have you got for me? Exec 2: Well, we already have an excellent oriental in our Les Exclusifs line, Coromandel. We could transfer it to the mainstream line. Even though it’s a niche perfume, it’s definitely not too weird or inaccessible for mainstream tastes. Exec 3: Ooh, we could do one of those rose-oud perfumes. Those are really popular right now. Exec 2: No, no, we need something innovative! Something original! 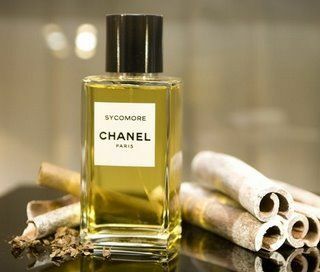 Something even richer and more luxurious than the original Coco! 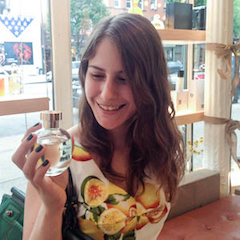 We need something that will stand the test of time against all of the disposable perfumes on the market today. We need a true fragrance masterpiece! 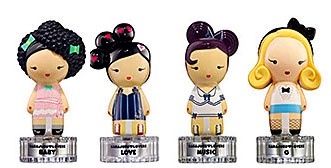 Exec 1: Eh, let’s just tell Polge to add some more patchouli to Coco Mademoiselle.